If you prefer to talk to us in person feel free to contact us at 206.639.8689 between 9am-8pm, Monday to Saturday. If you are looking for an unique event venue, you are in the right place. 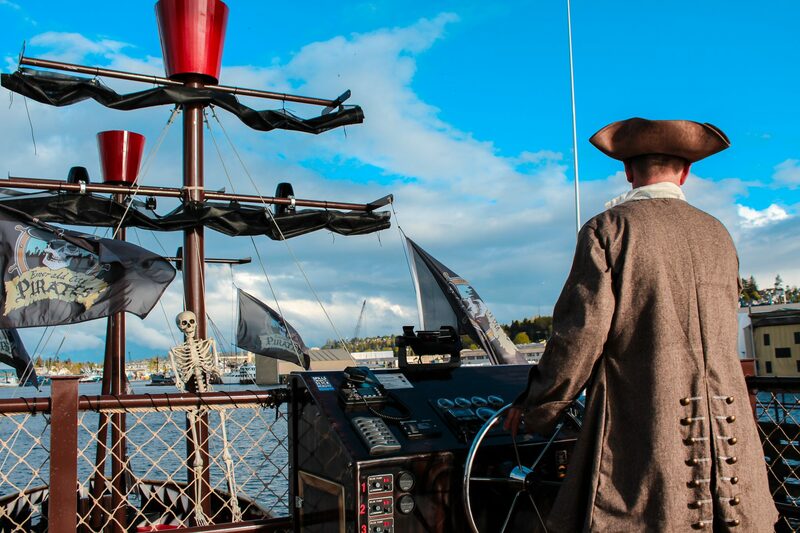 We not only give you views of the best Seattle landmarks, but are an interactive pirate cruise full of great energy. Not only do you have a pirate boat to enjoy, you also get to experience the beauty of Seattle. We start at South Lake Union and enter into Lake Washington ship canal for awesome views and pirate fun! Your event attendees will not forget this experience.